The New Adaptive Optics Module for Interferometry (NAOMI) has seen first light after being installed on all four 1.8-metre Auxiliary Telescopes (ATs) of ESO’s Very Large Telescope Interferometer (VLTI) at the Paranal Observatory in Chile. By introducing state-of-the-art adaptive optics technology, NAOMI has improved the imaging capabilities of the VLTI to unprecedented levels, giving the VLTI’s powerful scientific instruments such as GRAVITY a clearer view of the Universe than ever. The VLTI is a mode of ESO’s Very Large Telescope (VLT) that can combine up to all four ATs or the 8.2-metre Unit Telescopes of the VLT to create a virtual telescope with a diameter of up to 130 metres, allowing incredibly high-resolution observations. Using the VLTI, astronomers can study stellar surfaces, active galactic nuclei, young stars, and a variety of other intriguing astronomical objects. 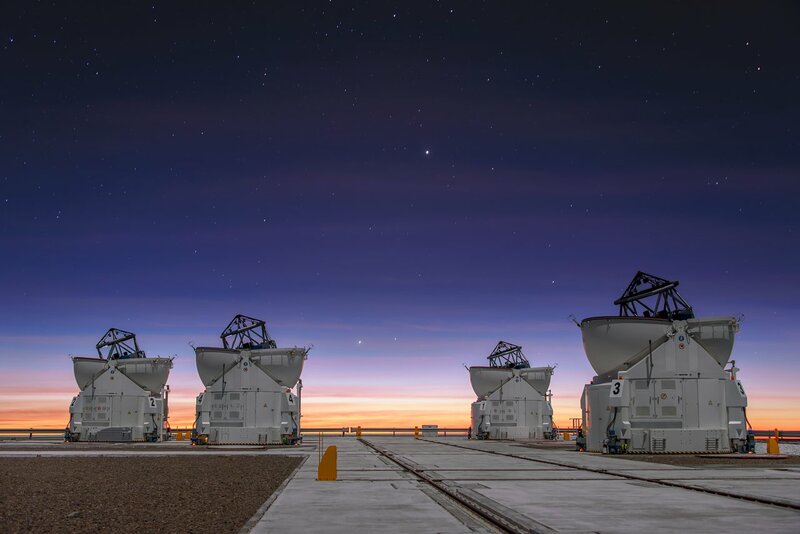 To combat the effects of atmospheric turbulence on the quality of the observations performed by the VLTI, ESO has developed the new adaptive optics system named NAOMI. 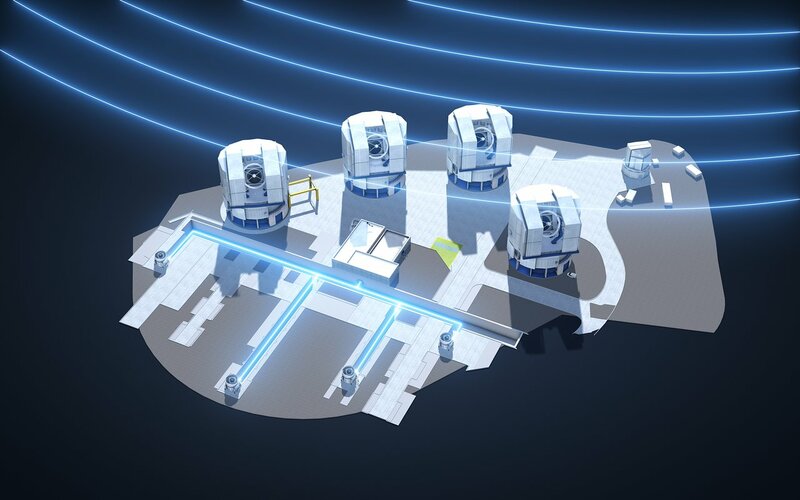 The system was constructed to improve the sensitivity and performance of the VLT’s ATs in collaboration with the Institut de Planétologie et d’Astrophysique de Grenoble (Centre National de la Recherche Scientifique/Université Grenoble Alpes). Previously, the ATs were equipped with the less sophisticated STRAP system (System for Tip/tilt Removal with Avalanche Photodiodes), which observed the effects of atmospheric turbulence and corrected the tilt of the received wavefronts by rapidly adjusting a steering mirror. Despite the valuable corrections it provided under good atmospheric conditions, image quality decreased significantly when conditions were poor. By using an advanced adaptive optics system , NAOMI will improve the precision of the measurements performed by the VLTI and achieve a better and more stable image quality. The VLTI’s razor-sharp new adaptive optics will enable efficient, long integrations even in degraded seeing — bringing out the best of the VLTI instruments under all atmospheric conditions. A key component of the NAOMI module is a deformable mirror from the company ALPAO — in a feat of optical engineering, the shape of this mirror is updated 500 times per second, ensuring that the VLTI’s view is almost free of atmospheric turbulence.